Dutch Triple A rated bank Rabobank has been fiddling around with gadgets, widgets and virtual worlds a lot in the past years. Their first metaversal experience came from Why Robbie Rocks and in april 2008 the bank hit the typical avatar-based 'girlworld' goSupermodel targeted at a 12 to 17 year old audience, loosely styled like Habbo Hotel. goSupermodel has about 250.000 unique visitors a month, which log in about 200 times a month and spend 22 minutes each session. Rabobank has launched a chatbot, called Yvette. Through the chatbot Yvette you can ask questions about finance. This financial coach is also reachable through SMS, MSN, Hyves and Live-spaces. On the Asian presence in SL: Fuji, Shiomi, Toshiba and Sera Korea. On virtual Business: Exploring Kinset's 3D Immersive Shopping and Brookstone Opens 3-D E-Commerce Site. AOL Pointe was built to provide a fun and engaging place for the Second Life community. We created this experience to learn more about virtual worlds and what people like and don't like. It has been a fun and rewarding ten months, with streaming music (Rock and Roll Hall of Fame, Linkin Park, etc. ), Sticky Wall contests, and Friday nights at Club AOL. We are grateful to the avatars who attended these events, as well as took advantage of places like the Centrifuge Skate Park and the Quiz Time Lounge. 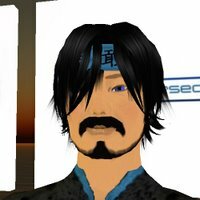 We've gained a lot of insight from our participation in Second Life and we're now refocusing our efforts in virtual worlds. 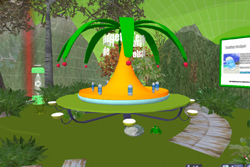 While we have closed AOL Pointe, you will soon be seeing more of AOL products and content across the metaverse. So stay tuned to aol.com for more information about when and where. AOL are not the first company to follow this route, and certainly won't be the last. I would be curious to know the real story here... or rather, the full story. And what of the future? Will we see AOL3D next year? 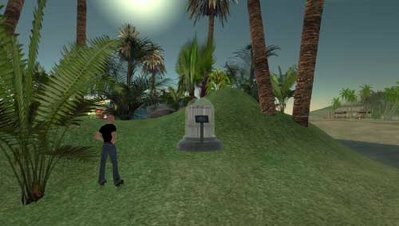 Or more dabblings in other virtual worlds, such as There or (if you want to go global) HiPiHi?I still liked the AOL build and am sorry to see them go. 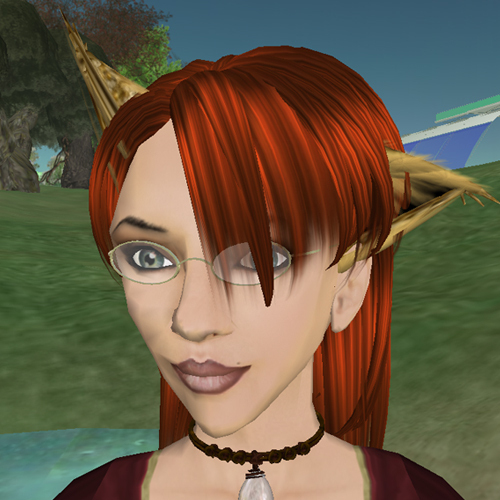 AOL isn't the first company to leave Second Life but it's good to know they're still game for virtual worlds. 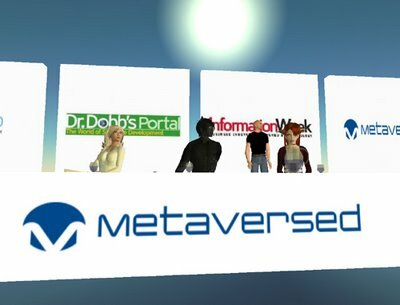 Another departure is even more stunning, as the one time leading metaverse blog 3PointD has collapsed without prior notice. I mean I've been bad at blogging for some time now, but Mark Wallace used to be a paid blogger. I'm wondering how the 3PointD sponsors (Electric Sheep Company) feel about their investment and publicity engine gathering metaversal dust. KZero's Nic Mitham must have been bought. His attention and anticipation of the arrival of Football Superstars has been incredible. Another FS snapshot series can be read here: Latest player and environment imagery from Football Superstars. ‘Confessions’ of a virtual world addict. Where 3PointD crashed, stocks are going upward for Nick Wilson at Metaversed.com. After a hugely succesfull start up of the Things to Do group (spring 2007) there was the more or less succesfull Grid Safari (summer 2007) and a promising podcast series (Second Rant with Prokofy Neva - which sadly went down the drain. After a slight dip Metaversed came up with another smash hit, the Metanomics sessions (fall 2007) on virtual economy (allthough some argue that this is a sponsor event and you get all sorts of economy and financial hotshots telling you all about how it should be without ever having been in a virtual world themselves). 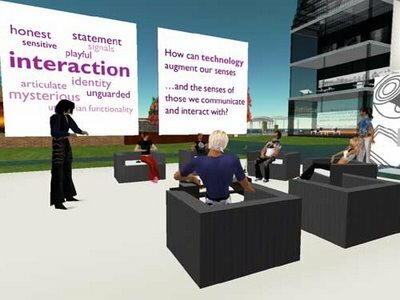 Latest addition to the Metaversed event line-up is the VBI sessions, the Virtual Business Innovators (winter 2007) which focusses on the native metaverse content creators and innovators, the "Virtual Brands" as KZero would call them. Too bad I missed the first session. There's a downside to this though, as there's no longer room for fun sessions like the Geek Meets (not even the Gadgeteer sessions) because it's no longer attractive (sponsorwise). That's a problem when you have to make a living of blogging and depending on sponsorships. I can blog, be critical, have fun and not wonder if I can buy dinner tomorrow. Anyway, it just takes away a bit of the fun and puts a slight ? behind "objective journalism"
El Jobso is "confident" Apple's made the right decision to lower the price of the iPhone yesterday -- and really, we can't fault them for knocking some cash off the top to attract new buyers, why is cheaper gear a bad thing all of a sudden? But even given the outcry, we definitely didn't see this one coming. In another open letter to his people, Jobs states that he's giving all iPhone owners a $100 Apple gift certificate (details to follow in the next week -- it goes without saying this will only apply to people who bought before the price drop). Well, that's mighty kind of you Steve. And definitely unprecedented in the consumer electronics industry that a company would give cash back to early adopters -- those most accustomed to buying a gadget first, asking questions later, and bottling their complaints when said gadget later drops dramatically in price. Last night I finally had time to slip into one of the Philips Design meetups. 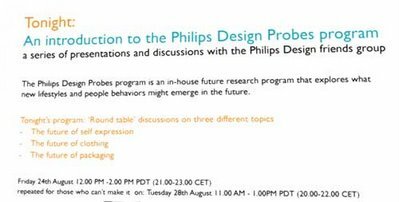 Due to scheduling issues I hadn't been able to attend before so I was glad I finally had the chance to meet up with the Philips Design Crew. It was quite a session, over 2.5 hours of full-scale brainstorm on 3 topics, giving me over 14 pages of textlog to read back and condence. This will be a post in bits and pieces I think. Don't predict the future, design it! 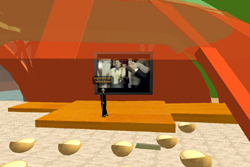 The sessions are titled "Designing the Future" and today's introduction was given by Centrasian Wise, one of Philips Design's inworld evangelists. "We plan to have a series of interesting discussions with you and these discussions will be about …. the future! As we say in the panels at the top there, we don’t want to predict the future, we want to design it, or rather co-design it with people, with you. In the next few months we will be holding a series of meetings here in SL to share our ideas and our work but also to learn what you think about them. The meeting today is an introduction to this new series." 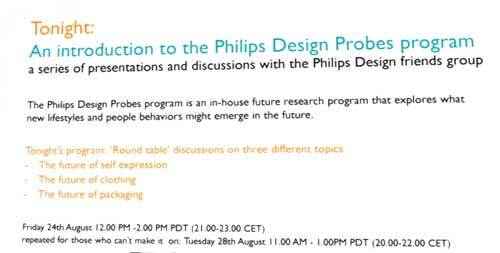 "Already for some years now Philips Design is carrying a design research program called Design Probes. It is an in-house future research program that explores what new lifestyles and people behaviors might emerge in the future and under 'future' we mean 2020 for these discussions. This program was set up to identify long term social changes and to anticipate changes in future lifestyles. It's far enough to already expect changes, but still foreseable. So, we study new and emerging technology, socio-cultural trends and possible effects of political, economic and environmental changes. Based on this knowledge, we then design a number of ‘probes’, or visionary concepts we call 'Probes'. They reflect our understanding of potential futures, but also provoke and challenge existing assumptions. For example, our Design Probe Program wants to challenges the notion that our lives are automatically better because they are more digital.So, In the coming weeks we will present some of the results of this program." Since Philips is a technology and digital gadgetting firm, that last remark shouts profit driven motivation. Or is there a more social spark driving the Probes? "You'll have to see in the coming weeks whether it is technology-drive or people-driven :)." Where does it all lead to? Is Philips going into virtual clothing business in Second Life, or are we up to new and exciting adventures with self-thinking or self-guiding boots? After the the introduction the group split into three smaller groups for some severe brainstorming, almost good enough to call it a MindBlizzard. My little group saw Centrasian himself als moderator and also consisted of Ugotrade blogger Tara5 Oh and Implenia / EOLUS founder and thoughtleader Eolus McMillan and several other residents with backgrounds in Design and Technology as well. This made up for the producing end of the chain, it would have been good to see some from the receiving end (i.e. consumers) in there, so I went a little into skeptical mode. The question at hand is how technology can augment our senses and the senses of those we communicate and interact with. "I am particularly interested about how sensor/actuator networkscan enhance self expression in hyper connected eletronic environment s in new ways. By that I mean how can the kind of emotional bandwidth these kind of sensor technologies bring to communication be integrated into an immersive social networking environment like SL..... phew that is a bit long winded! But reall what are the interesting ways biometric sensors can be introduced into networked virtual environments?" [12:11] Tara5 Oh: but id i can't say it here where can I! [12:11] Centrasian Wise: But would happen if we would add ‘sensing technology’ to our bodies? [12:12] Centrasian Wise: Enhance it? Amplify? [12:12] Una Gackt: I hope it would not be our body, but thinking things. [12:13] Centrasian Wise: Like, to show your emotional state? Well that's all folks for today. I'll have to find some time to put up the other two topics, which partly intertwine with the above discussion. Today I stumbled upon the Sunverse blog which happens to have a really nice gimmick up. A google map with pinpointers to RL locations in Second Life. This week's Geek Meet saw a new Gadgeteer episode with a wide variety of speakers. Fortunately there were some 'technical issues' that caused sound to be unfavorable. Fortunately since it's easier to blog this way. First up was Giff Constable, or as you like Forseti Svarog of the Electric Sheep Company on the exciting OnRez shop that's replacing the well known SLBoutique. "To give you a quick intro, The Electric Sheep company has long been known as a consulting company for virtual worlds, but our business goals always included building a consumer software business. 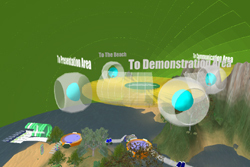 Our goal is to create technologies to make virtual worlds easier to use and make information flow more efficiently. We are launching a new brand around these consumer technologies called OnRez, with the first step launching next Tuesday. Shopping has always been important to us, which is why we bought SLBoutique in early 2006, but while we focused on our consulting business SLBoutique was neglected. That changed early this year when we looked closely at the technology and decided we needed to overhaul the entire SLBoutique system. On tuesday we're launching Shop OnRez. Our goal overall is to make shopping easier wherever you are, and to make life a lot easier for the small businesses of SL." Next up is Metamart's Robbie Kiama, a Geek-Meet regular and dedicated twitterati. "Let me first tell you about meta mart and how it was started: First of all we are all about making solutions, I hope you will agree with me that back in 2005 it was hard to find stuff in SL because you had to Travel all the places to search for quality items and that's when the idea came - to do a Store that walks up to you and not vice versa. So In 2006 we introduced I think a revolutionary system - Store on a HUD, it was slow and laggy. Since then we have thought aA LOT, did lot of research and figured out - that Search is greatly needed. In 2007 Januuary we introduced the first Store in a HUD that allows SEARCH, in 2007 march we thought that Comunity is extremely important and introduced MEta MArt with Comunity Ratings. So TODAY we are releasing new solution and I think this will be extremely great for the comunity. 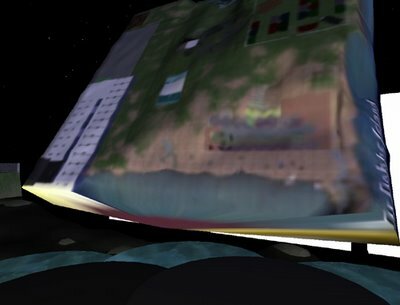 I hope you will agree with me - that one of the most fun things in Second Life is Seeing cool places and I think finding one isn't that easy of a task. So we are introducing a new service: metaTravel." As far as I can tell, I've already got my MetaTravel-guide, Nick Wilson at Metaversed with the Things to Do group, but for people walking around aimlessly in SL, this could be another hit. Today's third speaker was Anjin Meili, one of the Sculpt guru's of Second Life, driving home a "Sim in a Prim" message. I recall when I heard about sculpties... I told my wife, Elzbiet, that they would solve my problem. I could use them to create the terrain! I was to young to play on the beta grid though, so had to just wait until they made the main grid. But as soon as they made it, within the first hour, we had our first sculpted maps. I recall us popping over here to Dr Dobbs island, and using the LSL Logo sandbox to rez a mapping pod and make maps of this Island. The same day Sculpties were released to Second Life. As one cannot make a sculptie on grid, the challange was to provide an easy to use system that integrated with a backend capable of making the finished textures. We worked hard to build such a system, and made the on grid piece so simple, we feel its akin to buying a can of coke. You open the box, pop the top, and when its done, the probe dies and nothing is left but a URL to a finished map sculptie. Our gadget makes these sculpted maps. Lemmie dig one out and toss it up here real quick. We have a slogan for it: Map your Sim, in just one Prim!" Thanks again to NickWilson from Metaversed, Dr. Dobbs and Information Week. A full transcript can be found here [PDF]. 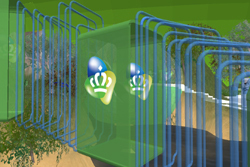 Another Dutch company opened shop in Second Life, this time it's the eldest Telco company of the Netherlands, KPN. Their sim is half finished, but already heavily used by KPN employees. 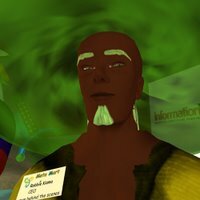 The Dutch Secondlife.NL blog reports that KPN employees went out to STRIKE on the SL island to get better working conditions and salary. 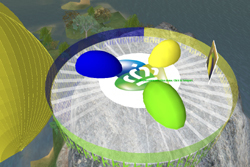 The build is centered around the KPN logo, 3 colored domes, of which only the green one is in use yet. The others are under construction. Inside the green dome a few standard features; info and auditorium things, a few gadgets like waterski's. A nice feature is the Text Messaging Gadget which allows you to send 3 SMS text messages to first life at the price of L$ 150. 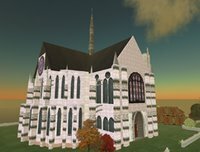 "A new tool, released just hours ago, aims to benchmark the performance of Second Life servers by running resource intensive scripts within a region, allowing residents to compare performance statistics before shelling out hard earnede Linden dollars on a new home. Mystical Cookie, creator of Second Life's favorite swiss army knife utility, the MystiTool, today released her "benchmark sim tester", that once rezzed, will perform a number of tests upon the island it inhabits, producing a score that can be comared against other islands." Performance is a well known issue in Second Life, and Linden Labs themselves are trying to find ways to pull together the ultimate performance testing strategy. However, it's hard to get 3.000 people to jump on one sim for stress testing. Professionally speaking that would costs thousands of dollars for a single stress test. Will this new app be the desired tooling? Or will it 'just' be a gadget? I put it to the test and had a Sr. Test Engineer from Sogeti's Expertunit "Process of Automating Quality Assurance and Testing" (PAQT) have a look at it. "It is a nice tool for users who want to have some quick info on their sim, see if it's up to speed. In no way it is a performance testing tool. In performance testing we look as much as possible to realistic usage. During testing we monitor various systemresources of several servers. This can't be done with this tool (yet), but it's worth to have a look at it and see how it develops." Fridaynight - Geek meet time. 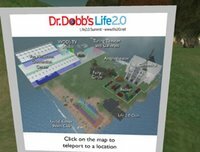 This time not at the Metaversed home but at Dr. Dobbs Life 2.0 island where hip and techsavvy things are as common as bugs in Microsoft. This week brings something new to the Geek Meet as it's the first time it gets sponsored by Information Week. First off, some snaps of the Dr. Dobbs island. "Alidar Moxie of Mechanized Life, makers of the popular Calendar Cogs Google API integration app for Second Life as welll as the new StatsCollector RSS app, and Vincent Shore, creator of Squawk, the Second Life Twitter / Jaiku presence and bookmarking app, will be joining Mystical Cookie, creator of the MystiTool, who we confirmed earlier at this week's Friday Geek Meet. Our regular Friday tech forum in Second Life is co-sponsored by Dr. Dobb's Journal, InformationWeek and of course Metaversed, and has quickly become the virtual worlds top regular technology and business networking event, where bloggers, journalists, new media types and tech heads of all kinds come to talk about the business and technology of virtual worlds. " Vincent created the popular Squawk app that that incorporates twitter, jailku and delicious into SL. "Squawk is essentially a tool for connecting your Second Life experiences up with popular web services. It began as just a presence client for Twitter but has progressively grown in scope as time has gone on. Today, Squawk supports Twitter, Jaiku, del.icio.us and Ma.gnolia, with more services on the way. In terms of presencing, Squawk can do anything traditional clients can do, and a bit more. Squawk can attach a geocode to your updates, allowing friends to see where you are in SL, or teleport in to check out something cool you microblogged about. If you visit Squawknest.com, those geocodes are used to visually place markers on a web map. Squawk also automatically builds your Nest profile and tags based on what you like to microblog about." The latest addon to Squawk is social bookmarking, or gridmarking. 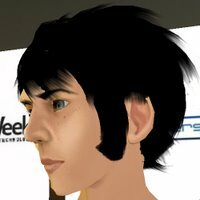 "Squawk is a combination of LSL scripts (housed within the virtual Squawk bracelet) and a number of intermediary PHP scripts housed on Vincents web server, which translate API calls and make the response data easier for Second Life to handle." "Next I'd like to introduce you to a great scriptor, one I think of as an "integration" specialist. 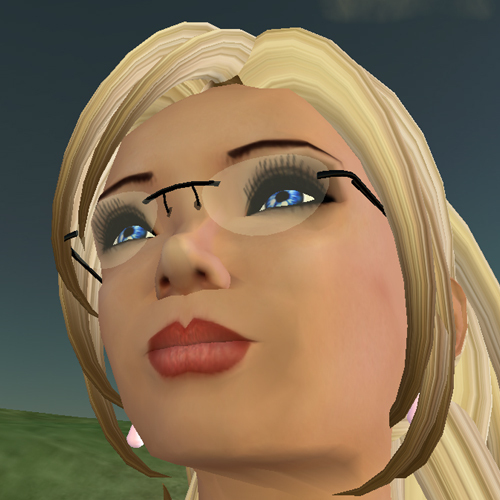 She deals mostly in API's and RSS and other ways of bringing our 2D stuff into SL. She's famous for Calender Cogs, a Google Calendar API implementaion, but recently has released StatsCollector, which I think you'll find even more intriguing. Please welcome Alidar Moxie!" "I have two real lines of things I've worked on the first was 'Calendar Cogs' I wrote it because I was literally writing on post its on my monitor when I wanted to go to events then I said 'why not use Google's thing to do this for me. I wrote 2 objects, a Hud for personal reminders and a Kiosk for people to place on land and tell others of their events both pull events directly from the Google calendar and use them in world and Huds talk to kiosks. I think I had a similar issue to Vincent in that the API for google had SO MUCH information that I had to write a ton of scripts between the Google Stuff and LSL." what time of day is your busiest, etc. At the moment you can pull either graphs or HTML versions of the data in the near future I plan to allow XML downloads and I am working on my own API so that others can make their own objects to 'talk' to the systemso to speak"
The statcollector could be a breakthrough in Inworld purchase history as a vendor could be written to record who purchased an item and when. 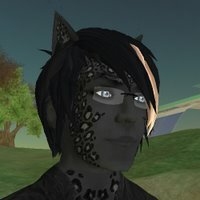 Transaction history in Second Life is only kept for 30 days, the default for the current version of Statcollector as well, due to server capacity in logging. The Mystitool app was named Metabrand no. 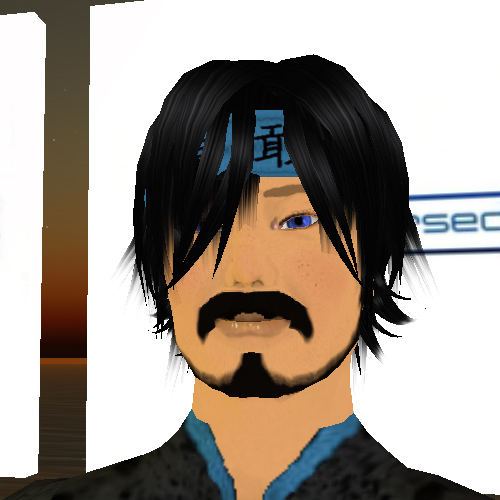 1 by KZero a few weeks ago and is classified as an essential tool for Second Life survival. "After my first month in SL, i had several things on my hud.. a spatial radar, a popular "shield" after being attacked on my own first land, ao, and a few things i was playing with ..."
"...Anyway, I was learning lsl and I wanted to keep all of my toys in one place.. i also did not like having so many hud attachments, and i wanted to learn how they worked.. so i started writing my own replacements for things. i started giving copies to friends.. as time went on, i added things.. av scanner, non-physical vehicle (a pseudo shield), etc. Mystitool has several privacy and convenience features in a single hud attachment.. all easily accessible by hud menus, it was designed to consume the least possible hud real estate to keep the screen clear for play and provide certain basic functionality which is missing from the SL client.. things such as knowing who is near you.. a quick "favorites" list of locations, teleport history, and basic anti-stalker and anti-griefer tools. Mystitool has grown in features as friends and customers suggest new things to be added or improved.. i also add things as i need them and with the latest update, there is now a plugin system in place to allow other scripters to write their own mystitool plugins, which will place buttons into the main mystitool hud menus :)"
The above parts are the introductions to the products, for the tech-talk I'd advise you to read the transcripts that will be on at Metaversed soon.